College junior Ariel Richmond is working on year three of Project Normalcy. Her house reeks of keggers past and her bestie is just a slight bit vulgar. But the thing is—they both aid in making life refreshingly uneventful. So much for hard-earned mediocrity when Luca Grinaldi appears on the scene. Luca’s sudden presence on campus is hard to ignore. Those bright eyes act like a beacon to unsuspecting females, and with features like his, he’s got to be moonlighting for GQ. Luca hopelessly captivates Ariel with his confidence and charisma, but the mysteries surrounding him make him nearly untouchable. And just when Ariel grows close enough to unlock his secrets, a tragic event sends her life in a downward spiral. That steady life is no longer an option and allies quickly become scarce. The mysterious Luca seems to be the only one willing to help her—but with that trust comes the burden of his secrets. He has a dark mission of otherworldly proportions, and is willing to sacrifice as many lives as it takes to see it completed. 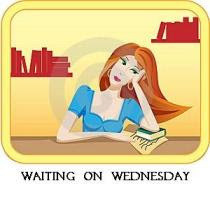 Gone are the days of simply maintaining normalcy, and if Ariel isn’t cautious with her trust, so soon may be her future. 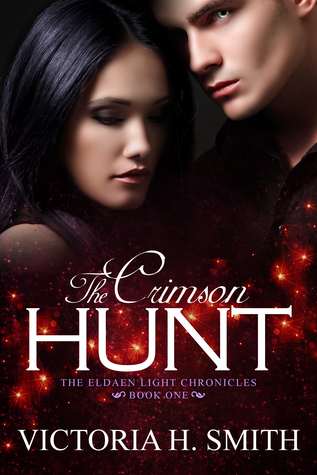 The Crimson Hunt is a New Adult Science Fiction Romance. 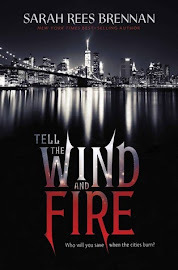 I read the first chapter of this book and was curious to find out more so I contacted the author, who then provided a free ecopy in exchange for an honest review. This is the first New Adult Science Fiction Romance that I have read and reviewed and at 340 pages it was a little longer than I expected. However, the story was detailed, giving the reader a thorough understanding of the change Ariel’s life takes at the arrival of the mysterious Luca. I enjoyed reading the first half more than the latter, and was sorry to see Piper go seeing as she added humour and fun to Ariel’s life. From the beginning I knew Ariel’s necklace was important and I wished she would have it fixed sooner, but alas that was not how the story was meant to be. Share book reviews and ratings with Zed, and even join a book club on Goodreads.